Easy access from the M1 Motorway, (Junction 24 only 40 minutes) and M6 Motorway, (junction 15 only 10 minutes) along the A50 corridor. 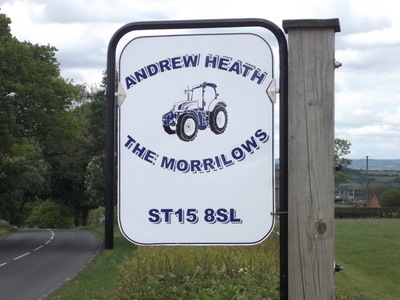 Located midway between the villages of Cresswell and Hilderstone, and only 3 miles from A50 Blythe Bridge Roundabout. Exit the A50 Roundabout signposted Upper Tean and Cheadle. Proceed for 1.3 miles through Draycott in the Moors and take the 1st right turn signposted Cresswell and Hilderstone. Carry on this road, for 1.5 miles, under the A50, over the level crossing, and through the village of Cresswell. After passing 'The Hunter' Public House on your right, we are the second property on the left at the top of the hill. SAT NAV Will take you 0.5 Miles past us if your travelling towards Hilderstone as above.